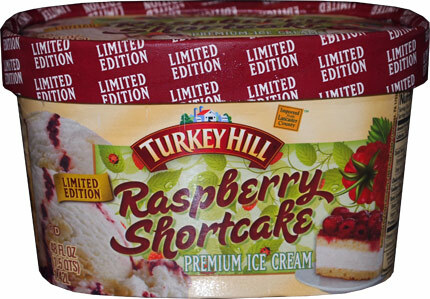 [New for 2013] I've been doing my best to keep an eye out for the new Turkey Hill flavors, and what do I spy at Price Chopper but June's PA Dutch Pretzel (tried last year) and July's Raspberry Shortcake ice cream. I wanted the pretzel, but it's all about showing you guys the new stuff first. I like cake. I like raspberry. I like ice cream. Let's go! Opening swirl short always appreciated since now I know where to aim my spoon. Whoa, check out the big huge cake pieces. I can't help but dig them up first. Wow, they are really fresh. It's real cake, not condensed or fake or anything. Maybe I jsut scored one very fresh container, but they've have nailed cake bits on the money. Nice touch. 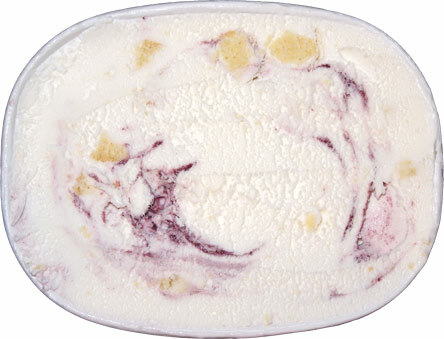 Ok, the swirl is like that from raspberry danish. It's strong but not fake. It's got bite, that's for sure. 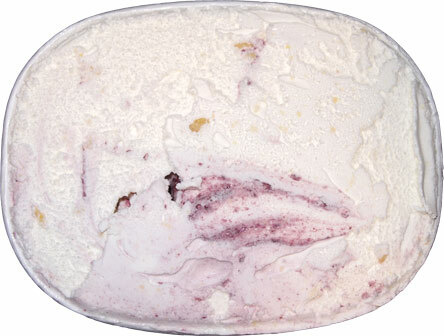 Basically a spoonful of this ice cream varies from lightly raspberry to an all out raspberry assault. It's a little intimidating but also mesmerizing..... Ok, who hit me over the head with a dictionary last night? This is a great summer time flavor. 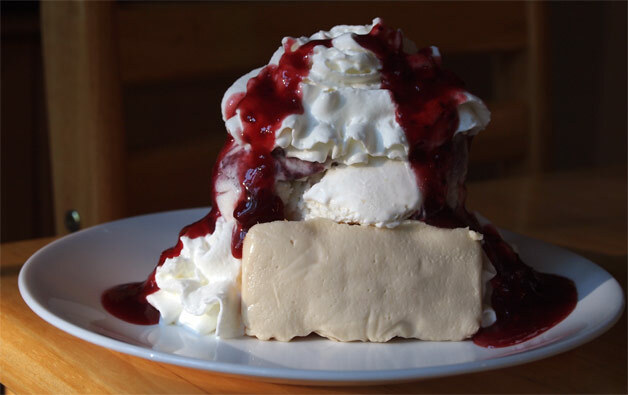 Let the warmth of summer melt your bowl a bit and you might convince yourself that you've got a nice scoop of ice cream on top of a fresh slice of cake. With the bite of the raspberry and the perfect cake bits, I just love the freshness of this one. My bowl is empty but I gotta take a few more bites, so I grab another small scooping. You know what, I like this ice cream. It's fairly potent, but it's an addicting potent. If it starts to be a little too much, I can just aim for less swirl. If I want to spice things up, I just aim for more swirl. Simple as that. On Second Scoop: Yeah, the second scoop was a breakfast sundae. I was thinking of how this ice cream kind of reminds me of a jelly krimpet, and then it hit me, krimpet breakfast sundae! Oh it was excellent, like some magical icy cold danish on a hot summer morning. I love the bite, I love the fresh cake pieces, and I loved how it complimented the krimpets. I second that motion. I love raspberry preserves and danishes, so this hit the nail on the head!